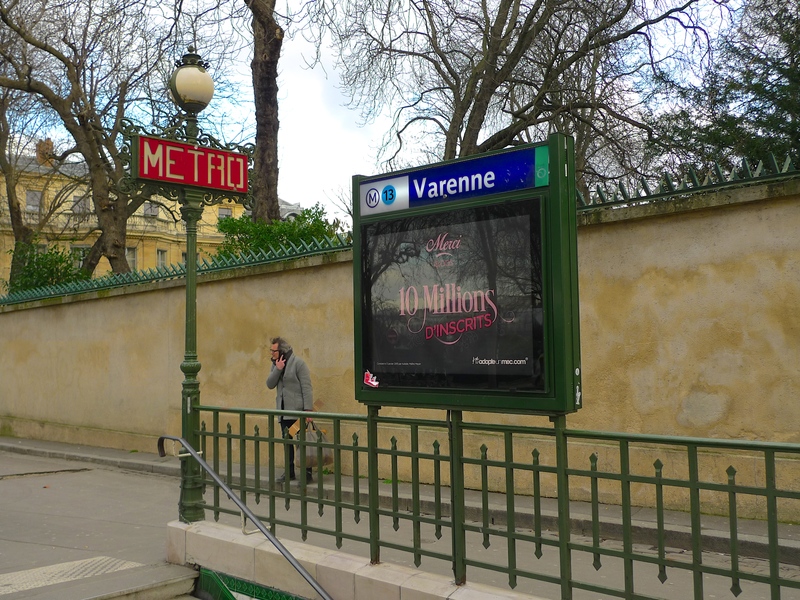 THE ENTRANCE TO the Métro station Varenne in Boulevard des Invalides in the 7th arrondissement lies right at the heart of the seat of power. Behind the wall alongside the station entrance with the iron defences on the top are several French government ministries and just round the corner at N° 57 rue de Varenne is the Hôtel Matignon, the official residence of the Prime Minister of France. 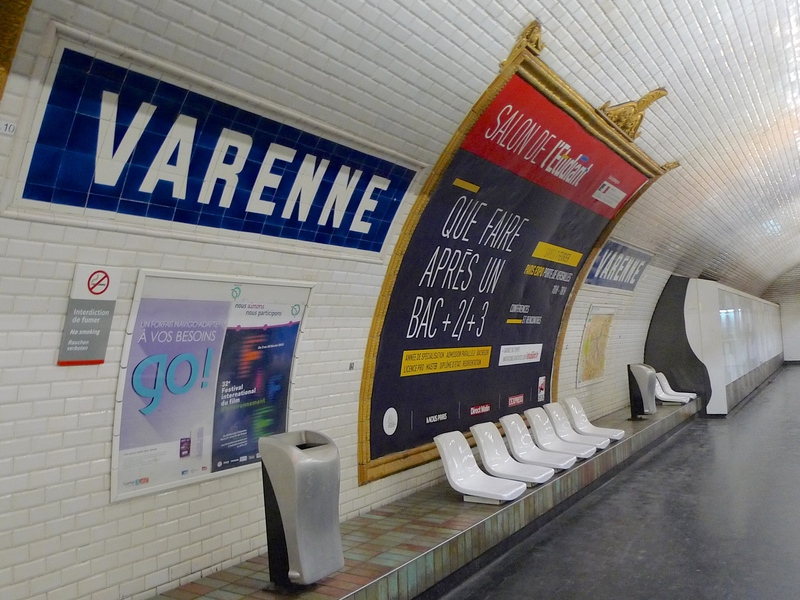 Métro station Varenne takes its name from the nearby rue de Varenne and it’s on Métro Line 13 which connects the western part of Paris to the suburbs of Saint-Denis, Asnières, and Gennevilliers in the north and to Châtillon and Montrouge in the south. 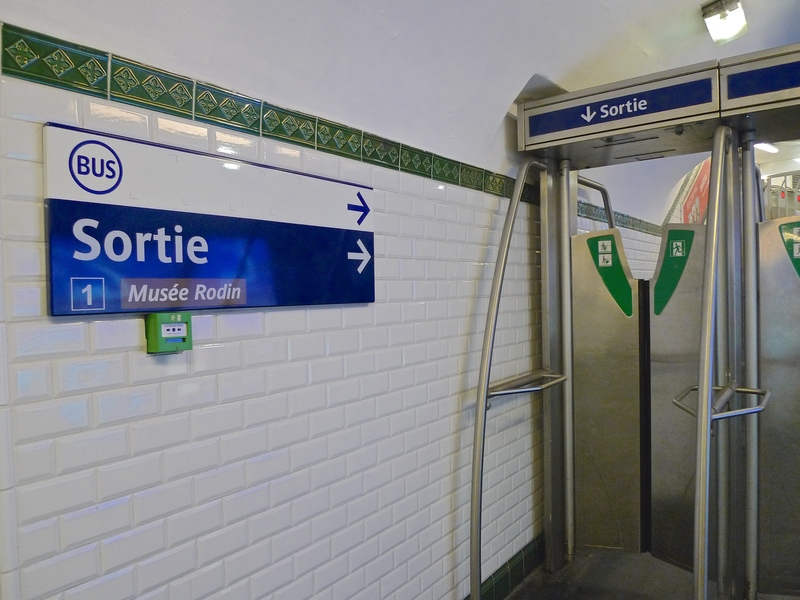 Trains run frequently through this station and their sounds, their rattling and sighing, interspersed with the very clear station announcements make for a lively sonic ambience. 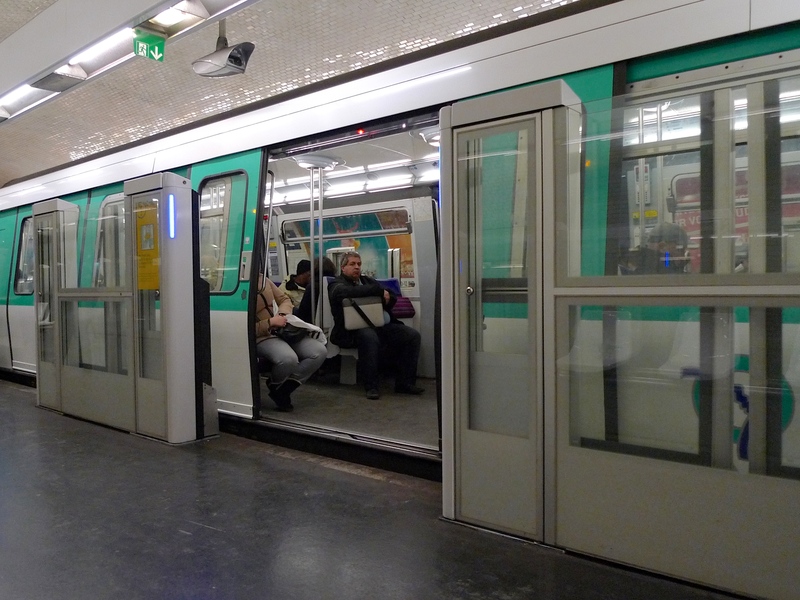 Of course, following the recent Charlie Hebdo attacks, Paris is still on a state of high alert and this is reflected in the sounds of the station with the repetitive, multi-lingual, security announcements. 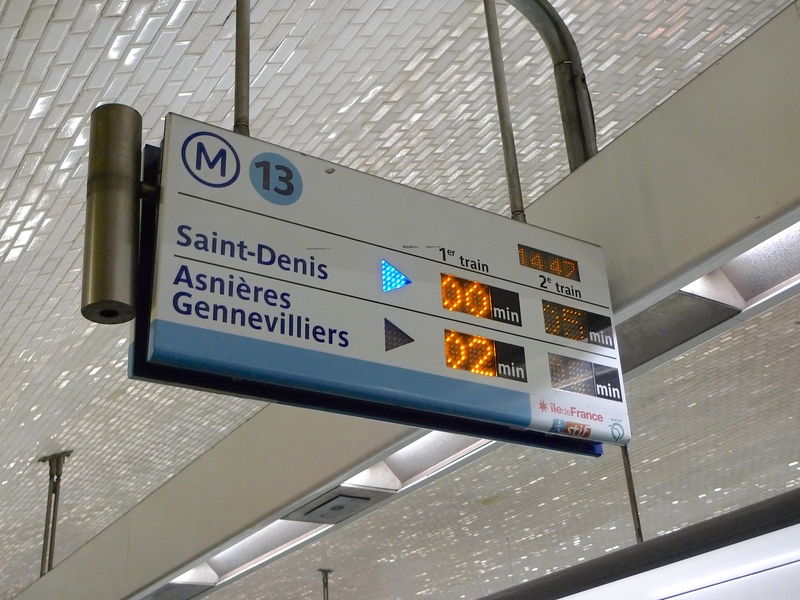 The frequency of the trains passing through the station to Châtillon in the south and to Saint-Denis, Asnières, and Gennevilliers in the north, means that you seldom have to wait very long for a train. However, there is one person sitting in this station who appears to have been waiting for a train for a very long time. In fact this is one of the twenty or so castings made from the original ‘Le Penseur’ or, ‘The Thinker’, by Auguste Rodin, considered to be one of the most important sculptors of the 19th century. 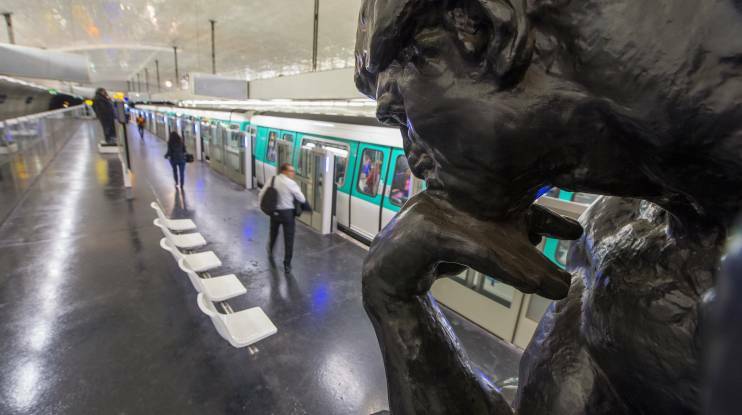 Along with a Rodin sculpture of the novelist and journalist Honoré de Balzac, which sits at the other end of the station platform, these pieces have been here since 1978. Originally they were accompanied by other Rodin pieces along with a display case of photographs and drawings but these have since been removed. Today, only the Thinker and Honoré de Balzac remain. 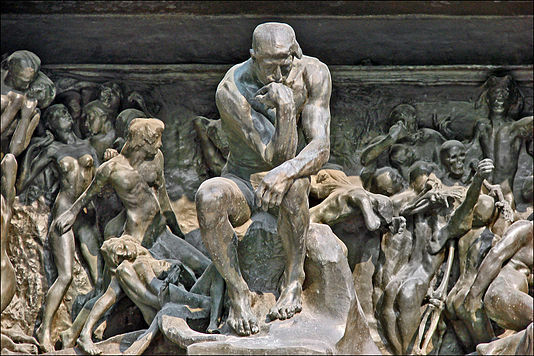 Rodin’s Thinker is perhaps his best known monumental work, first conceived around 1880–1881 as a depiction of poet Dante Alighieri (1265-1321), author of the epic poem, the Divine Comedy. The image evolved though until it no longer represented Dante, but all poets. The work was designed to occupy the centre of the tympanum of The Gates of Hell, which were intended to be a portal of a new Musée des Arts Decoratifs in Paris. 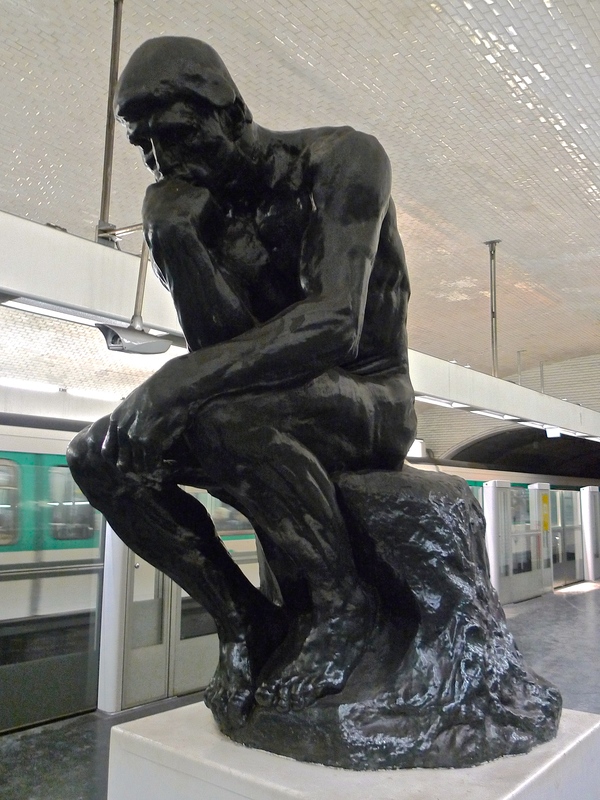 The Thinker was designed as an independent figure almost from the time the Gates of Hell were composed and was exhibited in Paris in 1889 at the Exposition Monet-Rodin at the Galerie Georges Petit. A bronze cast dated 1896 at the Musée d’Art et d’Histoire in Geneva reproduces the original twenty-seven inch version. The first over-life-size enlargement was exhibited at the Paris Salon of 1904. At this time a subscription was begun for the most famous cast of it, the one for the city of Paris, which was placed in front of the Pantheon. 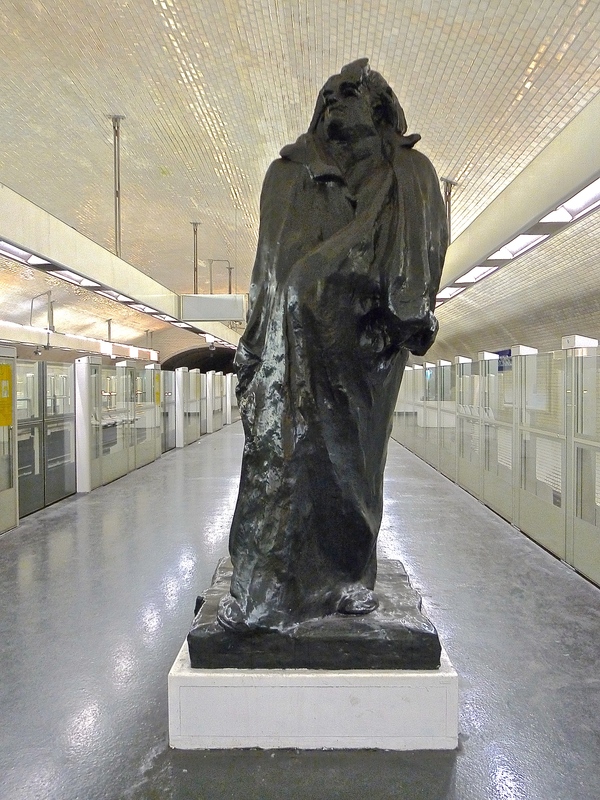 If you want to see the original over-size version of Rodin’s Thinker you have to leave the Métro station Varenne and walk a few steps to Rue de Varenne and the Musée Rodin. 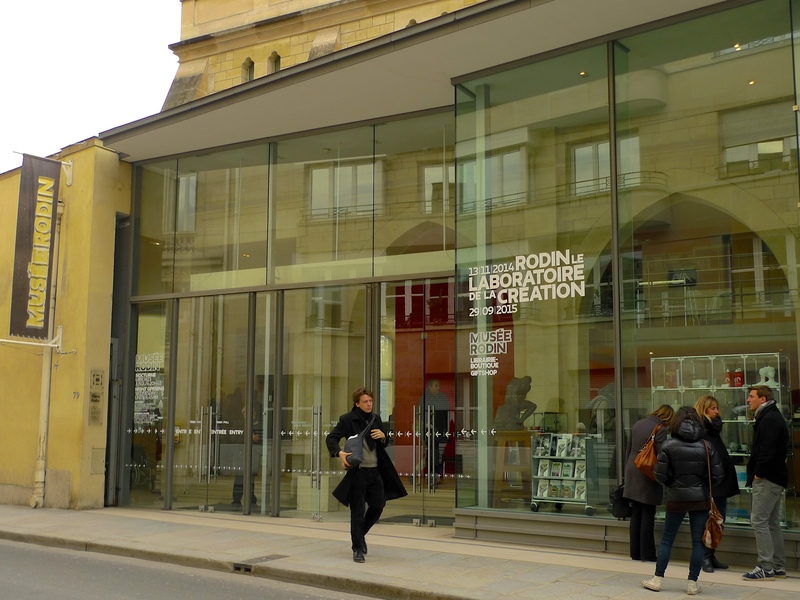 Dedicated to the works of Auguste Rodin, the Musée Rodin was opened in 1919. The museum occupies two sites, one at the Hôtel Biron and surrounding grounds in central Paris and the other just outside Paris at Rodin’s former home, the Villa des Brillants at Meudon (Hauts-de-Seine). The museum collection includes 6,600 sculptures, 8,000 drawings, 8,000 old photographs and 7,000 objets d’art. Sitting waiting for a train at the Métro station Varenne (I actually waited much longer than was necessary because I was so captivated by the soundscape around me), I was struck by the contrast between Rodin’s introspective Thinker sitting silently and immoveable, and the trains, which seemed to be so alive, extrovert and constantly expressing themselves. 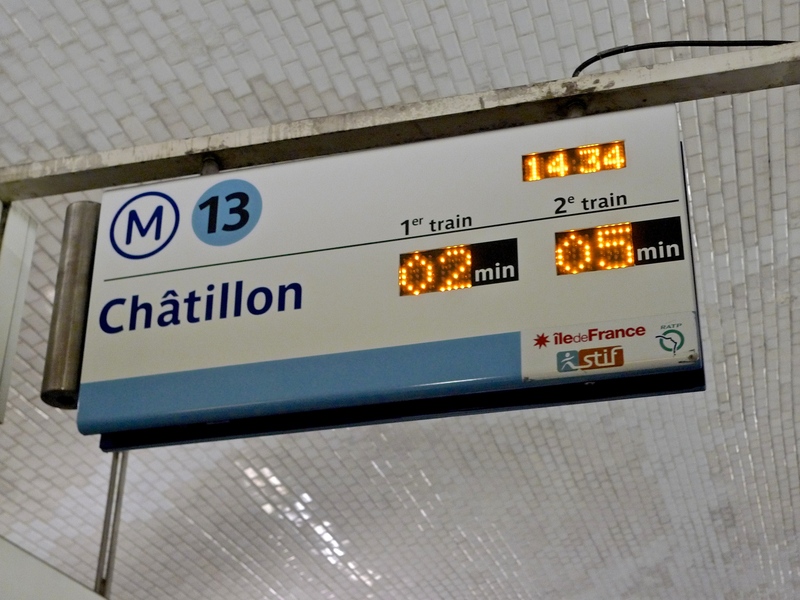 Some might consider sitting in a Métro station for longer than is necessary a waste of time but, as Rodin said, “Nothing is a waste of time if you use the experience wisely”.